You are giving a presentation because people want to hear what you have to say, not read it. Overcrowding your slides and handouts is distracting to your audience. Stick to just a few key words and bullet points. Remember, text is just a supplement to your presentation. If someone could understand your entire presentation just by reading your slides and your handout, why do they need you? Think of your presentation like a conversation between you and your audience. You have to pause, make eye contact, use hand gestures, and every other action you would do when conversing with someone. Don’t focus on memorizing every single word of your speech. Instead, think of it like you’re telling a story to a close friend. There are two reasons people speak too fast when they present. 1) They are nervous and 2) they are trying to cover too much content in a short period of time. Don’t let yourself ruin a great presentation by talking too fast. Slow down your speech, and cut out unessential phrases. Make your point and make it concisely. You lose your audience when you try to cover too much content. When you’re speaking, you must act like an undisputed authority on your subject. Too often, speakers choose wishy-washy language out of fear of being told they are wrong, or speak timidly because they are shy. Neither of those qualities are conducive to holding an audience member’s attention. You are being asked to speak because the audience wants to hear what you have to say. Say it with confidence! Always remember that whenever you speak, you are automatically a salesperson. You may not be soliciting an audience’s money, but you are soliciting something just as difficult to get: their attention. 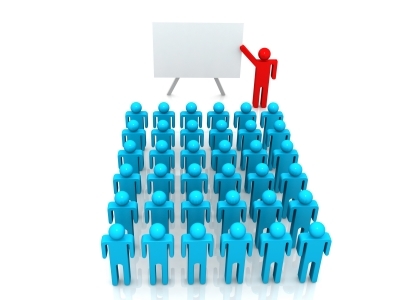 Every minute of your presentation, you have to convince your audience to pay attention. You must be engaging, informative, and likeable. Get help implementing these strategies and more! Email Emily@TheTimeDiet.org to set up your free Public Speaking Coaching consultation.